A multi-sport athlete, if Scooby Wright hadn’t become a footballer, he could have easily excelled in other sports. The football player, to a large extent, possesses an awesome natural athletic ability that spills out from one sport to another. Outside of playing football, Wright is a star in track and field events. He is a gifted shotputter and boasts an impressive timeline in the heavy spherical object game, including a top-throw of 15.67 meters (51–3). Mindful of his talent in both sports, Scooby, immediately after high school, decided to carve out a career in football in place of shot put. Today, he is one of the most respected linebackers in the National Football League (NFL) history. Within and beyond the football community, the NFL linebacker is popularly known as Scooby but his real name is Philip Anthony Wright III. The footballer got the nickname ”Scooby” from his father when he was a baby and ever since, it has become part of his identity. Wright was born to Annette Wright (mother) and Philip Jr. on August 28, 1994, in Windsor, California. He was raised in a family with sports background. His sister, Ashley Wright once played softball at Illinois while his father works as the head of Santa Rosa Junior College softball team. Phiilip Jr. has a wealth of knowledge and experience in football. He played football at the California State University — Long Beach, popularly known as Long Beach State. The NFL linebacker, upon completing his elementary education, began studying at Cardinal Newman High School in Santa Rosa, California. While he was still at Cardinal, he was a member of the school’s football and track teams. He joined the University of Arizona in 2013, starting twelve out of the season’s thirteen games. He went on to gain an interception as well as 83 tackles, earning himself the covetous Honorable Mention All-Pac-12 honors. 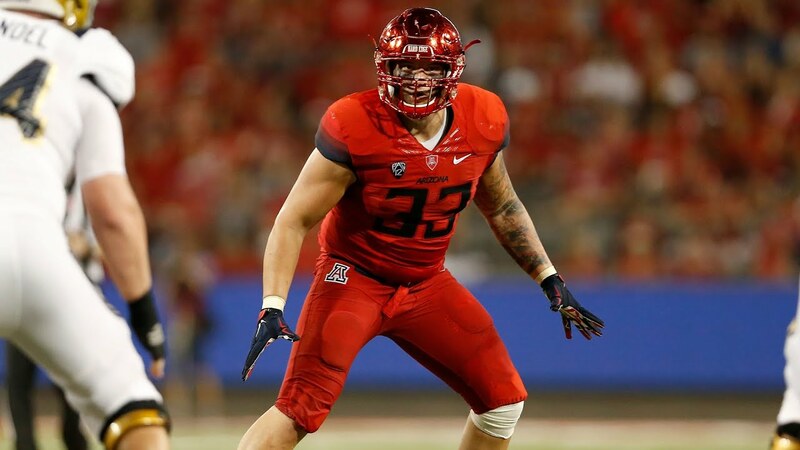 Scooby Wright continued to grow his game in 2014 and would later emerge a finalist for several awards, including the Jack Lambert Award, Bronko Nagurski Trophy, the Walter Camp Award, the Chuck Bednarik Award, and the Rotary Lombardi Award. In addition, he was decorated with first-team All-Pac-12 honors and was also listed as the Pac-12 Defensive Player of the Year, making history as the first sophomore to win the enviable conference award. Also, in the 2014 Heisman Trophy voting, Scooby gained the highest finish of any defensive player, emerging the ninth player on the ballot. The Windsor-born footballer entered his junior year in 2015, featuring in only three games as a result of a fatal injury and recording 23 tackles and 2 sacks. He later announced his intentions to forgo his senior year in order to enter the 2016 NFL Draft. Wright was then selected as the 250th overall pick in the 7th round of the 2016 NFL Draft by the Cleveland Browns. He went on to sign a four-year contract worth $2.401 million on May 14, 2016. The deal came with a signing bonus of $60,700. The linebacker would join Arizona Cardinals on December 13, 2016, after he was waived by the Browns on September 20, 2016. 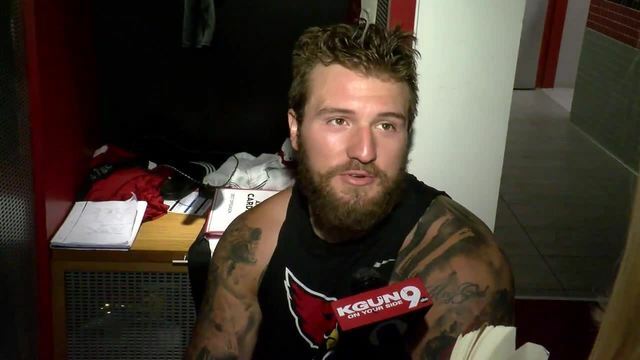 He was subsequently promoted to Arizona Cardinals’ active roster on 8th September 2017. Two days later, Scooby Wright was waived and re-signed to the team’s practice squad. On October 3, 2017, the linebacker was promoted back to the active roster but waived by the Cardinals on 1st September 2018. Wright’s NFL career statistics as of 2017 is detailed as follows: Total tackles: 7, Sacks: 0.0, Forced fumbles: 0, Fumble recoveries: 0, and Interceptions: 0. The respected Windsor-born football player is currently a free agent. It is generally believed that having tall footballers in a football team is really an asset because it’s been found that height, to some great extent, influences success in sports. The National Football League, no doubt, has produced lots of footballers with a good height and Philip Anthony “Scooby” Wright III occupies a spot on the list of NFL’s tallest players. Though the likes of Malik McDowell, Kyle Scoter, and Barkevious Mingo are a bit taller than the linebacker with a few inches, Wright’s height of 6 feet 0 inch (1.83 m) is quite impressive and considered an advantage for the sport. The NFL free agent’s weight is measured at 108 kilograms or 239 lb.